In a speech delivered at a lunch hosted by the Doncaster Chamber of Commerce, Martin Weale – External member of the Monetary Policy Committee (MPC) – reviews the current economic outlook and how the MPC might respond if inflation drops too far below its target in the future. He then focuses on the longer-term question of how much the United Kingdom can afford to spend and argues that we are saving too little: either we must rebalance the economy or live at the expense of future generations. Martin Weale says that two factors point to more substantial downside risks to output and inflation than earlier in the year: the general economic environment and the recent falls in oil prices. More important to the UK than the slowing in the US, Martin Weale argues, are the problems in the euro area and the implications these might have should they intensify. Regarding the area’s debt problems, he states that financial markets have not exerted as much discipline on large borrowers as was hoped when the currency union was planned. He adds: “…to any casual observer it is obvious that there is a tension between the market pressures for much greater support and the political problems this pressure gives rise to in a number of countries in the euro area. The result is political uncertainty about how the issue will be resolved and this is itself a source of economic instability.” As a consequence of the weaker economic outlook, Martin Weale did not see the case for the rise in Bank Rate at the MPC’s August meeting that he had previously advocated. Since the August meeting the fall in oil prices had been something of a “silver lining”. “They could point to inflation lower than I had feared next year and to a substantially reduced risk of the sort of second-round effects on wages which have so concerned me over the last few months”, he says. Martin Weale goes on to consider what monetary policy could do to prevent inflation dropping too far below its target, should economic and financial developments make that appear a likely outcome. He says: “…there is undoubtedly scope for further asset purchases to trigger further reductions in yields on government debt should the need arise. The resulting capital gains will provide support to consumption and a general reduction in the term structure of interest rates is likely to lead to knock-on capital gains on other assets which will provide further support to consumer spending. Higher asset prices and lower interest rates are also likely to support business investment. The extra demand which results will both support output and help to underpin the rate of inflation.” Nevertheless, Martin Weale confirms that he does not think that either the MPC’s August forecast or more recent movements made a case for further asset purchases by the MPC. He also states that a further reduction in Bank Rate is unlikely. Martin Weale goes on to discuss the long-run position of the economy, and the appropriate balance between consumption and saving. Martin Weale argues that the UK has a long history of not saving enough. In reference to Doncaster’s most famous horse race, he adds: “As people who are now noticing the impact of past under-saving on their pensions are discovering, it does not make sense to plan for the future on the basis of the sort of returns generated only by a successful bet on an outsider winning the St Leger.” If we carry on as we are without increasing saving, he says, “…eventually people and particularly old people will be disappointed with their living standards…this will create pressures to transfer resources from young people to old people reducing the consumption of the former to support the latter…So either young people or old people will find that they cannot consume as much as they might hope…”. 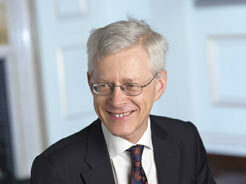 Martin Weale calculates that consumption over a lifetime might need to fall by over ten per cent. Alternatively, we could deal with the shortfall of resources by working longer. But, he says, “…even if working life is extended by three years immediately, there will still be a shortfall of around six per cent in total resources”. Martin Weale concludes that both domestic investment and exporting need to play a substantially bigger role in the way we use our resources in the future. The implications for monetary policy depend on how the necessary rebalancing of demand away from consumption and towards exports and investment – with a consequent increase in national saving – occurs. He considers the most likely outcome as being a gradual adjustment from now, with the share of GDP accounted for by consumption falling over the forecast and the share accounted for by investment and net trade rising. But the MPC must remain alert to the risk that a sharper adjustment by households and government could lead to demand being weak enough that inflation falls below the 2% target; or, alternatively, the risk that exports and investment rise but consumption is also too high, leading to inflationary pressure.